With all precincts reporting Wednesday morning, state election results show Mountain View voters are overwhelmingly in favor of Democrat candidates and all three ballot measures. 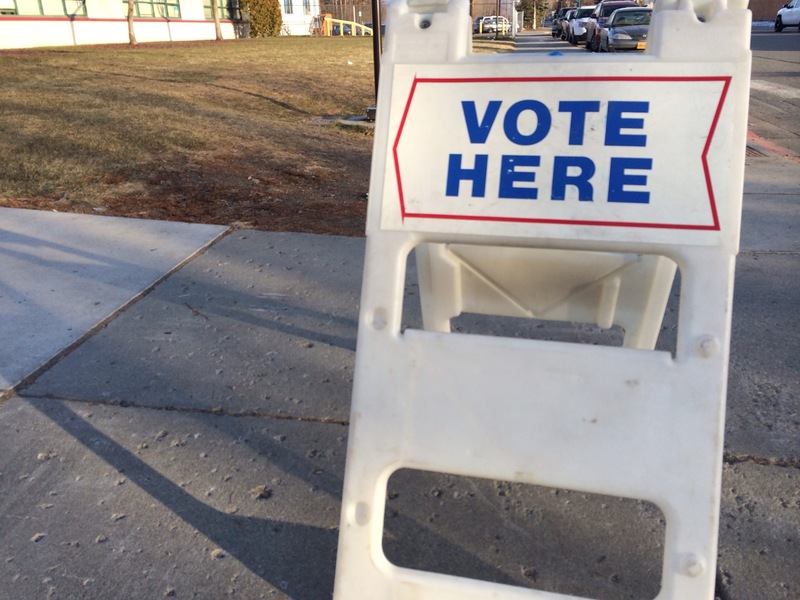 There are about 4,000 registered voters divided between two polling stations in the neighborhood north of the Glenn Highway, and about 24 percent of those voters cast a ballot in this year’s general election. While neighborhood turnout was on par with past elections, it falls far below the statewide turnout of nearly 45 percent. Local results put Mountain View to the left of the rest of Alaska. Of the nearly 1,000 ballots cast in the neighborhood, Democrat Sen. Mark Begich received more than 60 percent of the vote in his bid for re-election. Democrat U.S. House candidate Forrest Dunbar prevailed over Rep. Don Young by seven percentage points, and the gubernatorial “Unity ticket” of Bill Walker and Byron Mallott won out by about 10 percentage points. Statewide, Begich trails Republican challenger Dan Sullivan by slightly more than three percentage points, and Young declared victory over Dunbar Tuesday night after pulling in more than 50 percent of the vote. Walker and Mallott are ahead, but by less than two percentage points. On ballot measures, Mountain View voters fell more in line with state sentiment, voting in favor of all three by hefty margins. About two-thirds were in favor of measures to legalize retail marijuana sales and restrict large-scale mining near Bristol Bay. More than three-quarters of Mountain View voters who participated in this year’s election approved a measure to increase the minimum wage to $9.75 per hour by 2016. Statewide, the wage and mining measures passed with more than two-thirds of the vote, while the marijuana measure passed with more than 50 percent. Democrat District 19 Rep. Geran Tarr, running against Libertarian candidate Cean Stevens, won her bid for re-election with nearly two-thirds of all votes districtwide. In Mountain View, she pulled in more than 60 percent of the vote. More than 228,000 ballots were cast throughout Alaska in this year’s general election, according to the Division of Elections. Of course! They “get things” from the Democrats. Mountain View is a welfare community. Crime and welfare rule! Your writing and this “MtViewPost” stink. Agree with everything except that the writing and post stink. She just reported the facts. Sad, but true.